Certain types of teas can provide some real relief to mild headaches all the way through to migraines. Of course, the best thing you can do for a headache is to work out the cause of it and remove that, if you can. And migraine sufferers, like myself, know that sometimes you just have to suffer through it. 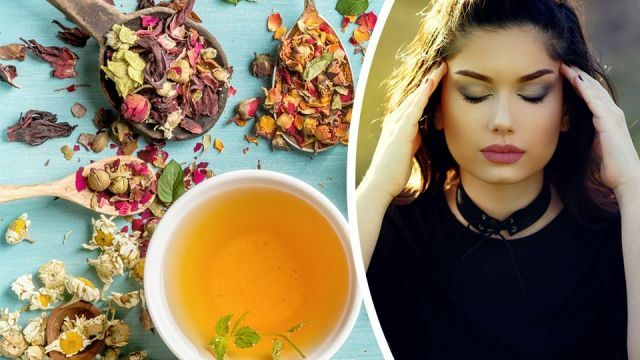 But, people have also been using certain teas to combat head pain for thousands of years — why not give these a shot? While it’s true that chamomile may not stop the migraine itself, it can be used to reduce inflammation, muscle spasms and anxiety that occur as a result. At the same time, it can help treat stomach cramps and work as a mild sedative that will help you sleep off the rest of the agony. Some people use green tea to relieve migraines, vomiting and diarrhea. Green tea contains antioxidants which benefit normal headaches as well, and its benefits extend to aiding digestion, combating high cholesterol and helping to prevent diseases. Green tea contains a mild amount of caffeine (about a third of the amount in coffee), and when caffeine is paired with analgesics like aspirin or acetaminophen it can increase their effectiveness in combating migraines and headaches by 40 percent. However, for a few people, caffeine, especially on its own, can trigger a headache, and the National Headache Association recommends that people with daily headaches find alternatives. Consuming caffeine that regularly can lead to addiction, and then withdrawal headaches when consumption is stopped. Ginger is another popular remedy for both migraines and normal headaches. Working as an anti-inflammatory, ginger blocks prostaglandins — the chemicals that can cause a slight swelling in the brain. Apart from headaches, ginger has an amazing number of other benefits, including treating nausea, boosting blood circulation and reducing blood sugar levels, and combating throat soreness and sinusitis. This herbal tea is great for headaches caused by stress or a poor diet. Such headaches typically see the brain’s blood vessels restricted, leading to intense pain. Peppermint tea helps to open up such constricted blood vessels. It’s also great for fighting sinus and stomach problems. Basil is another herb that works as a muscle relaxant with analgesic properties. The steam from basil tea alone can be a gentle treatment for headaches brought on by muscle tension. Drinking basil tea can be great for sinus headaches. Burning basil oil and breathing that in can also be beneficial. High in essential oils, antioxidants and other nutrients, basil tea can also be good for respiratory health, oral infections, kidney problems and fighting stress. Known to improve memory and support blood circulation, rosemary has also been found to significantly reduce pain. You can apply rosemary oil directly to your temples for headaches and migraines, inhale the vapor from oil, or use it in tea. In all of these cases, it is recommended that you drink the tea at the onset of the headache. Feel better soon! Hey Buddy!, I found this information for you: "Rosemary + 5 Other Healing Herbal Teas For Migraine Relief". Here is the website link: https://www.thealternativedaily.com/6-healing-herbal-teas-for-migraine-relief/. Thank you.